First time in Las Vegas? First time in an online casino? Or maybe you’re a casino pro, but you tend to stick to the same game and you’re now in the mood for something completely different. Whatever the case, we’re here to help. Today, we’re going to help you discover the casino game that’s right for you. Whether you’re looking for mindless fun or you want to think hard and be challenged, listen up. Give Baccarat a try. It’s kind of like Blackjack in that your goal is to get close to a certain number, only there’s no risk of busting. It also offers the advantage of being able to bet on the Banker’s hand instead of the players’ hands for a different type of experience. Hanging out at a casino? Did you know that at many land-based properties you can go ahead and gamble without having to be physically present at the tables? With Keno, you can gamble from the lounge or coffee shop by filling out Keno slips. Some casinos even have runners who will take your slip for you so you can sit back and chill. If you’ve never played Keno, it’s a lot like playing the lottery. Pick your numbers and see what pops up. Oh, this game is also available online at Silver Oak Casino. If you’re up for a challenge, play poker. 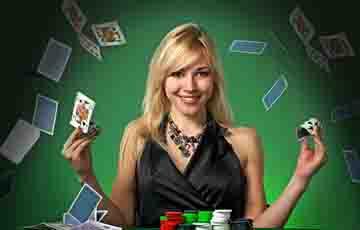 Many casinos offer poker rooms where you can play live against other players. If your local casino doesn’t, you can still play video poker (also available at Silver Oak Casino). This game also requires you to think because you have to decide whether to throw away cards or play the ones you’ve been dealt. Head over to the slots if you want a no-brainer type game. Just pop in your money, hit Spin, and watch what happens. You can even turn on AutoPlay (sometimes called AutoSpin) and let the game do the spinning for you. Most slots games don’t require you to make any sort of decisions, unless you end up playing the bonus round. Of course, there are some exceptions to the rule, like Orc vs Elc at Silver Oak Casino, which requires a ton of thinking. If you’re a social animal, you’ll definitely want to head over to the Roulette or Craps tables at a live casino. That’s because these games are incredibly communal. The way the tables are structured require you to interact with people (especially in Craps). We challenge you to play Craps or Roulette and not make a friend. You can even play multi-player Roulette online at Silver Oak Casino and make new virtual friends. Plus, we’ve got a whole live dealer casino that brings you that realistic Vegas casino, right into your living room.